Xbox is one of the best products produced by Microsoft IMHO. 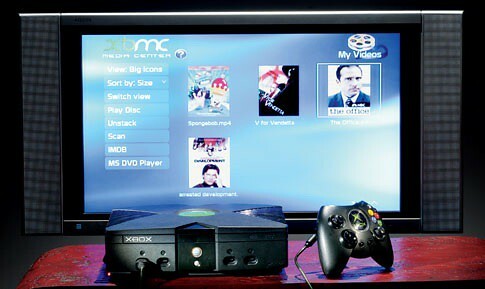 Using open source software XboxMediaCenter (XBMC) it can be tuned into full featured media center. LinxuMCE community tries to find a way to use Xbox as a media director but currently without luck. However, XboxMediaCenter offers a web based API to give a full control to the box – HTTP API. Currently there are two ready interfaces for ASP and Python. But since the API is pretty simple it’s easy to implement the same functionality on Ruby, Perl, PHP or other desired programming language. For LinuxMCE it might be good to create Ruby implementation and add the XBMC controller as Generic Serial Device (GSD).